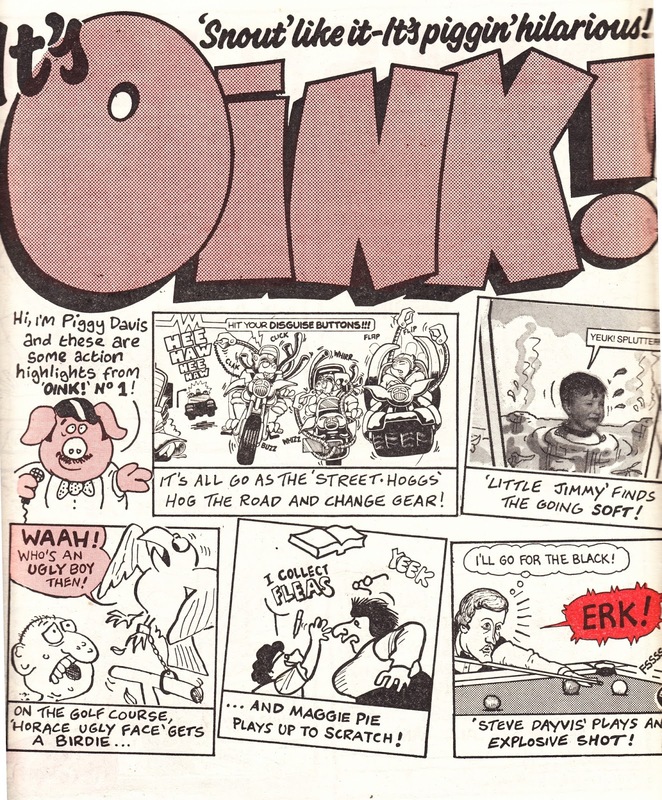 The big news from the bottom shelf of the newsagents in May 1986 was the launch of IPC's new humour comic: the promisingly subversive, porcine-themed fortnightly OINK. Plus: the first two issues came with a free flexi-disc (oh, how I wish I'd kept that. The Oink Rap still plays in my head!) 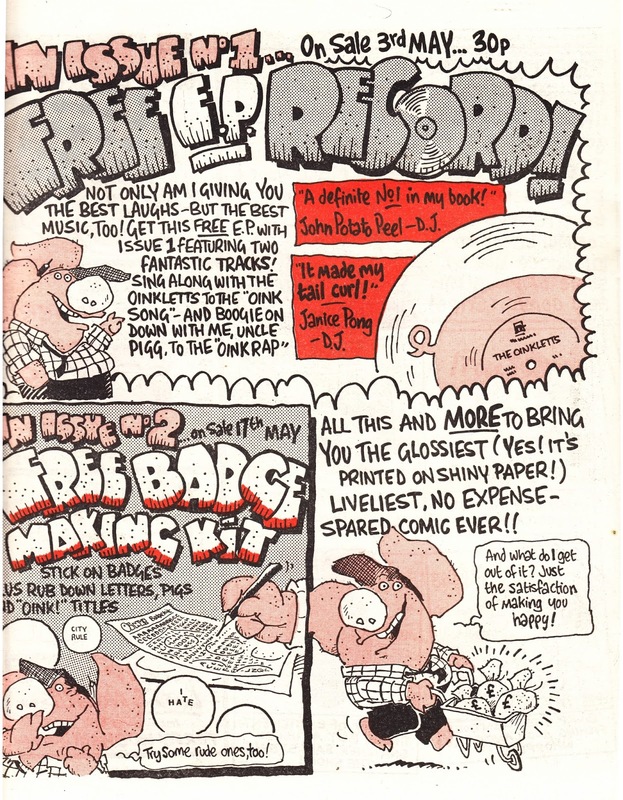 AND a badge-making kit. What's not to love? 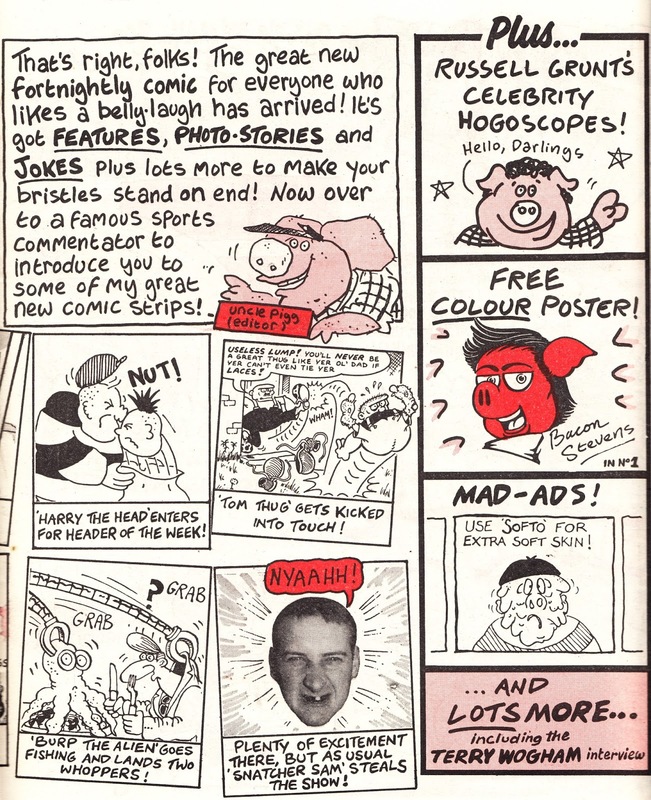 I was never much of a reader of humour comics, the compulsory appeal of the likes of the BEANO and the DANDY, along with the IPC humour comics, had entirely passed me by. I'd bought a few issues of NUTYY but that was strictly for Banana Man. I was always more of an action/ adventure kinda guy... something that i think comes through loud and clear in this blog. That said, OINK looked like it was going to be something a bit different and I loyally lapped-up the early issues before slowly drifting away. 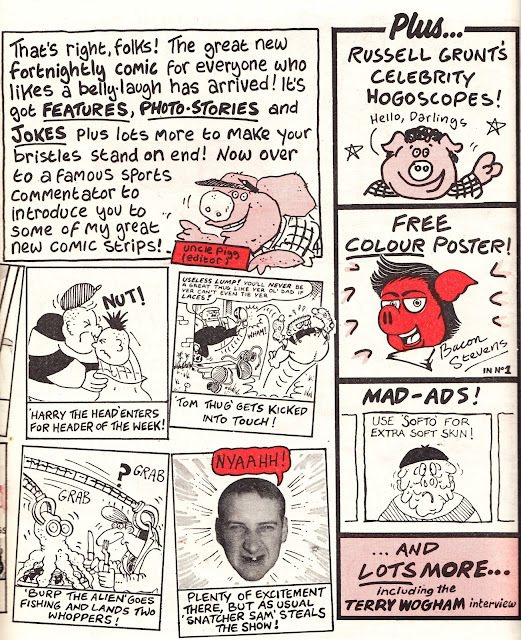 I'd read copies of IPC's previous humour comics and I'd found - no matter what the theme - they all largely followed a formula which - I figured - had been set in stone since time in memorial. If that was my reaction, I'm certain that other would-be readers were thinking the same thing... no wonder sales were dropping. Oink, packaged out-of-house and given higher production standards than the rest of the IPC line (oh how that must have pissed the Thargster off), was like a breath of fresh air. It was an experiment that wasn't to last and the writing was clearly on-the-wall when the frequency was suddenly cut to monthly (a sure sign, unless you are DOCTOR WHO, that cancellation is imminent) and - sure enough - Oink suffered what must have been the ultimate humiliation: merger with the staid and conservative BUSTER (which - to its credit - did become last-man-standing in IPC's humour line). 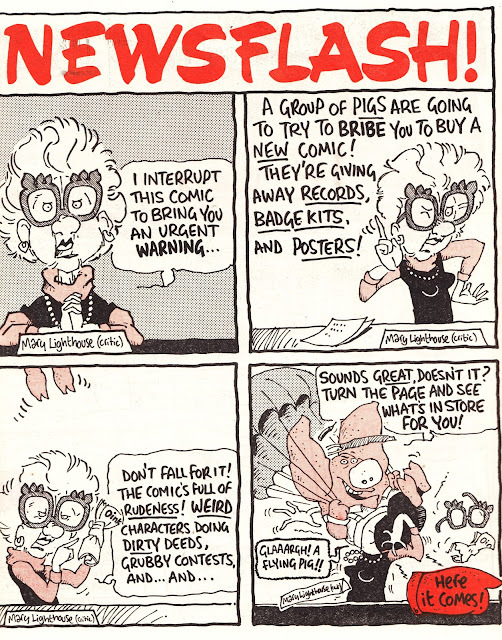 This four-page centre-section takeover, following the same formula as the DICEMAN ads I've posted previously, appeared in the EAGLE cover-dated 10 May 1986.